Crompton Greaves, or simply Crompton, is one of the oldest and trusted names in consumer appliances segment. Crompton is the best ceiling fan brand by sales. Founded by a British engineer but was later acquired by the Thapar group (post-independence). So technically, Crompton Greaves is an Indian company. With 130+ years of overall experience in electrical appliances segment, Crompton has been setting the standard for product quality, durability, and performance. In fact, Crompton was one of the first large-scale manufacturers of household electrical appliances. Crompton is an undisputed king with over 28% of market share in fans segment. 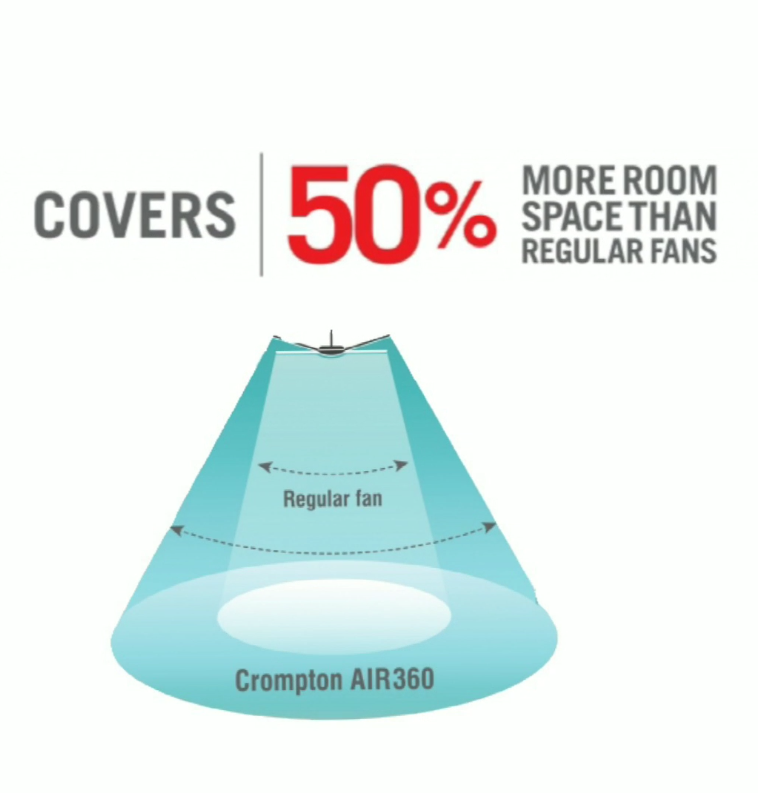 It offers the complete gamut of fans—from table to pedestal, from wall mounted to ceiling, you ask it Crompton has it. In this article, we will briefly review latest technologies that the Crompton ceiling fans come with. 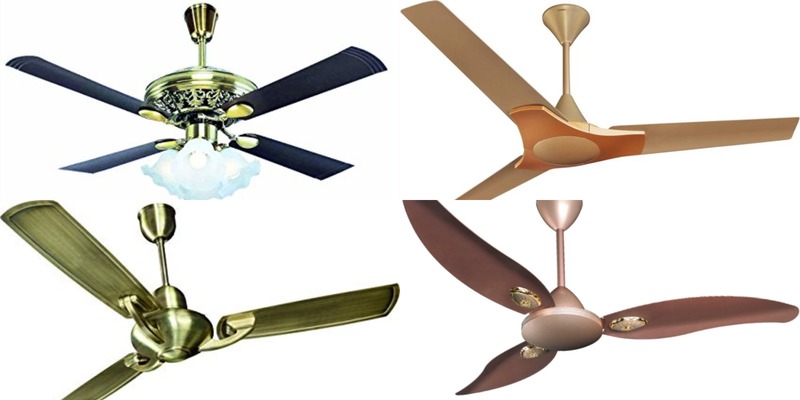 If design and aesthetics are the deciding factors, then you should surely consider Crompton fans. Crompton offers wide variety of fans in terms of shape, size and color. Models from Devine, Lerone and Senorita series comes with a unique petal-shaped design with a decorative motor to compliment contemporary home décor. On the other hand, fans from Twirl series feature shank and motor design with chichi colors. Premium series like Kannon comes with electroplated finish giving it an exotic look. Super premium models like Nebula comes with four decorative lampshades to enhance the beauty. There is also an attached pull cord for convenient light and speed control. After extensive research and consumer survey, Crompton identified that many consumers faced inconvenience and discomfort with regards to fluctuating temperature due to erratic weather conditions, especially during the typical Indian sleep hours. To tackle the trouble of unsettling temperature, Crompton came up with e-sense technology which happens to be India’s first temperature sensing ceiling fan. The Avancer series model comes with this technology. They are equipped with smart sensors that sense the ambient temperature and regulates the fan speed according to the sensed temperature. Additionally, it also comes with radio frequency (RF) enabled remote for hassle-free control of the fan. As it works on radio frequencies instead of infrared, implies user don’t need to point remote towards the fan (receiver) i.e. it can be used from any part/corner of the room. Premium Air 360 series fans come with gliding technology where in fan blades boast of aerodynamic design. 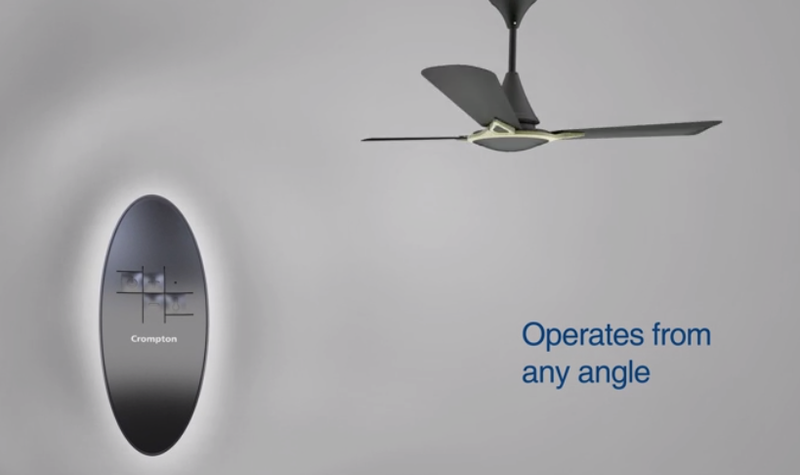 This design is such that the wings of the fan is slightly ascended upwards which gives wider air coverage and improved air delivery. Crompton believes this way it increases the air coverage by 50%. Additionally, these premium fans come with anti-drag technology for smoother airflow, thanks to its powerful motor. Household ceiling fans are known to be a dust magnet i.e. they keep accumulating dust over time. Users face a lot of inconvenience and discomfort in keeping their ceiling fans clean from uninvited dust agglomeration. Fear of corrosion looms large as the unwanted gunk keeps gathering over the fan’s wing. Frequent cleaning may cause bending of fan’s blade. To assuage these problems, modern Crompton fans from Prime series come with anti-dust technology which uses nanotechnology-based paint with hydrophobic and oleophobic properties. What this implies is the moisture and oil laden dust particle won’t easily append to the blades. The company believes its anti-dust technology reduces dust accumulation by half. Biggest plus point for Crompton is its market dominance. It is #1 ceiling fan brand by sales. 1 out of 4 fans in the market carries a Crompton tag. Design is the key forte for Crompton. Diversity in design gives a multitude of options to the consumer to select the fan according to their need and home décor. RF remote is also one of the USPs of Crompton. Because most of the fans which work on remote uses infrared technology. And for such remote to work, the user needs to align and point the mouse in direction of the fan. But it’s not the case with RF remote in the Avancer series from Crompton. It can be used from any part of the room under any orientation. New ceiling fans from Crompton comes with a powerful dominant motor comprising of a double ball bearing. This ensures that the ceiling fan functions smoothly and keeps the noise emission under control. Overall, Crompton fans are durable, and you can be assured of good build quality. The biggest disappointment for us from Crompton was their desistance from manufacturing energy-efficient BLDC fans. BLDC fans can reduce power consumption by 2/3rd and do not need an installation of a regulator. Energy efficiency doesn’t seem to be the main focus for Crompton and their premium fans consume a lot of energy. Crompton offers one of the finest ceiling fans in the market especially when it comes to design and aesthetics. Modern-day Crompton fans are very much improved from their predecessor. They benefit from the advanced motors, extra strong materials, striking finishes, and intuitive controls. Premium variety of fans seem to be a main focus for Crompton. And as a result, we see a resplendent variety of premium and super premium fans. Aerodynamic design with anti-drag and anti-dust technology not only ensures better air circulation but also prevents dust accumulation. Reduction in dust accumulation is significant because accumulated dust can hamper the airflow. So that’s a commendable effort from Crompton in their high-end models. But sadly, energy efficiency is not on the cards for Crompton hitherto. And so, we don’t see energy-efficient remote-operated BLDC fans from Crompton. If you can compromise on energy efficiency, which for us is ineludible, you can surely opt for Crompton.